Before I start this article I'd just like to say that a) you should probably read the original article that I'm responding to first and that b) I like Caroline Nodder a lot, I've known her for years and we've shared more than the odd pint together over that time but I find her leader column in last week's Publican somewhat odd. The gist of it is that, as a consumer, she doesn't want to be consistently bombarded with complete geekery, that she considers beer the stuff that greases the wheels of sociability. That bit I get, I really do, there are days when I just order a pint, drink it and order another because I've got better things to concentrate on than the delicate earthy aroma of the East Kent Goldings (for example! ), but her attack on brewers and beer writers that are innovating is either deliberately provocative or the mark of someone who has become overly cynical about the industry they work in. If the beer market hadn't started to successfully communicate beer's fantastic flavour attributes more effectively, using the language of food & wine writers, and celebrity chefs, then it was doomed. This is because the new beer drinker demographic is the same one that already understands food descriptors and wine words and they don't just speak in the language of Jilly Goolden - who hasn't graced our screens in more years than I care to remember - they speak the language of Tim Atkin, Jancis Robinson, Jonathan Ray, Susy Atkin AND Jamie Oliver and they demand more of their beer descriptors than the lazy and slapdash use of the phrases hoppy & malty (shudder!). "But I don’t see anyone out there really working on building a portfolio of strong modern beers, instead I see brewers showing off by tinkering with aged beers or overly strong ABV products, or shock launches a la BrewDog, when they could be building something that can change the very culture of the beer drinker forever." So, can someone tell me what exactly it is that Dark Star, Thornbridge, Lovibonds, Meantime, Harvey's, Fuller's, Adnams, Sharp's, St Austell, Harviestoun, Marble, Moorhouse's, Otley, Breconshire, Rooster's, Kelham Island, Lancaster and countless others are doing then? Every single one of those breweries I mention there has a strong, core range of sessionable beers that stand proudly as such on the bar - from London Pride to Hophead and Pint to Pale Rider every single one of these beers is award-winning and, more pertinent to Nodder's argument, profitable, but they are complemented by limited release beers like Brewer's Reserve or a limited release Imperial Stout here and there - which is a sound business model. Why? Well as Nodder rightly points out, people's interest in all things craft and local is at an all time high so why would a brewery not want to take advantage of that by producing niche products that appeal to a niche audience alongside their wider appeal core range? And whilst I can understand her frustration at some of the dumb stunts that have been pulled over the past few years by a few misguided brewers - or out-and-out pubicity junkies - you only have to look at the success of every single stage of the summer's Thornbridge meet the brewer tour, nearly every event BrewDog runs, Cask in Pimlico's constant draw of punters every time it does a brewery event, the White Horse's beer festivals (like the Old Ale one just past which had a record year) and even my humble lovebeer@borough business over the last few years to see that the special edition beers are the ones with draw for a growing audience. And what's wrong with that? Uncovering hidden gems is awesome, it's something to share with your friends, it's an excuse to meet up and try what you've found or even Tweet about it for the world to see. What Nodder has missed, and maybe it's because she so dislikes the world of geeks (as she is entitled to) is that breweries like Marble wouldn't be in the happy situation of moving into a brand new brewery and are still brewing all the hours god sent to keep up with the enormous demand for their products without the beer nerd network. The shoe-gazing that she refers to, which she feels has been indulged by beer writers like myself, are often actually high publicity projects that pay dividends for breweries and the writer alike. Every time I go and brew somewhere I learn something new, which can only make me better at my job, and it's something I'm proud of - particularly when it produces something profitable for the brewery. For example, the brew I did at Otley, thai-bO, was so commercially successful that it's been incorporated into the seasonal roster (sorry that sounds a bit boastful but it's true! ), Pete Brown's book Hops & Glory and his epic IPA journey has helped put Worthington White Shield on more people's beer map in the last couple of years than any advertising campaign ever could and Stuart Howe's interaction with the geek network has seen him brew 52 beers in a year, some of which will now make it onto the Sharp's roster because they've been so well received. I guess, in summation, what Nodder sees as navel gazing I see as interaction with interested consumers - what do you think? I think Nodder's praise of Meantime's College Beer Club one week and then denigrating geeky high-ABV beer the next undermines her whole argument. Excellent response. What I found most odd about that article was the implied suggestion that the marketplace for quality beer didn't understand itself, that it needed to remember its place. Interesting beer would not be brewed if it were not also bought and downed. I understand the drive to explore better ways of describing beer. Caroline Nodder is way off beam by trying to dumb down that aspect of beer writing. I think the little dig at progressive beer duty at the end of the article gives the game away: she's been talking to the regionals and they are keen to undermine the craft beer scene. 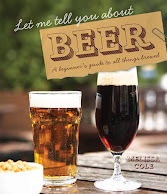 People like me will sometimes pick up on beers that her publication and mainstream ignore. That isn't doing a disservice or emphasising 'geekery', it's broadening out the coverage in a busy market. And I didn't know she'd praised Meantime's College Beer Club? Maybe she can tell us who it's for? I find it hard to imagine a more elitist and lifestyle 'offering'. 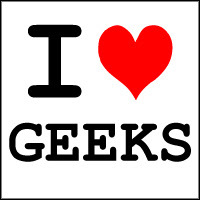 I love geeks too. I just don't want to have a pint with one. Any market will have established brands that customers like alongside niche innovation. Of the products innovated you will have geeks and early adopters of those products and some products will gain a mainstream market and some will not. The thing is, you have to ask yourself whether as a beer geek you really are more discerning than the average drinker or simply more engaged in the market. Also you have to ask yourself to whom you are communicating with? Other beer geeks that like the exclusivity of odd beers or consumers that like the social aspects of drink, might be interested in trying something new, but expect to like what they pay good money for? Some of those consumers will like things with snob value and some will be put off things with snob value as per their own perspective on life. Despite my own love of cheap lager, I have been known to drink geek beer from time to time. I like most of it. The day I insist every beer that passes my lips is a craft product with a specific method of dispense and become someone unable to enjoy a can of Stella or god forbid look down my nose at people that do is the day I sign the pledge and give up the grog. I don’t advocate the execution of beer geeks, but if I were to become one I think I’d have the decency to jump off a cliff. I do think the niche beer drive is stretching the seasonal release beer model to breaking point, with the best will in the world I cant follow all the breweries you listed, so maybe some are able to stretch better than others. But I could certainly point the finger at one of them who have a stock core range of at least 4 different beers, currently have a further 3 specific winter beers on the go and had another monthly seasonal and another niche on at the same time. now that variation of choice might be good for beer tickers and beer geeks and Im not knocking that being someone who is more likely than not to try something different if I see it, thats how I go about approaching beer festivals, but equally at heart Im not really interested in trying 300 beers before i die, just for the sake of saying I ticked them all off, I will always be happiest with a good tasting stock core beer served well in top condition. so I do question how the preponderance of niche beers builds a solid base for a brewer when youve got so many different beers on the go constantly changing, how do people connect with them, how do people react when they find they cant get them. To me this is the kind of thing breweries used to do behind closed doors,or with super friendly landlords, small scale, try a barrel see how it goes. Now we shove them out into the world beta test style, slap a craft beer label on it and pretend its a good thing, even though most of the beers can often be quite unremarkable. so I dont see that this kind of stuff is producing large numbers of beers that 5 years from now will still be around, I dont see it helps the brewers much either and I do worry that the core products suffer as a result. Well one bit of good news I pick up from all that is the re-appearance of thai-bO. Who says you don't gain useful info from blogs? When though? Great post Melissa... What's the likelihood of getting it printed in the Publican? Weave your magic! That's telling her. Leave the geeks (of which I am probably one) alone. Quote from Nodder "as a consumer, she doesn't want to be consistently bombarded with complete geekery"
Hmm, most real ale is marketed with goblens, hobbits and other medieval nonsense. Apols for lack of response to all your comments, I had put on the moderation setting after some nasty comments and it turns out it doesn't email you when there are comments to be moderated - stupid me! Thanks for all the comments and Stono in particular for that very long and thought out comment!